Margaret Martin was appointed to the Faculty of Law in 2007. Prior to joining the Faculty, she completed her M.S.L. (Master’s in Legal Studies) at the University of Toronto. In the summer of 2006, she defended her PhD entitled “Raz’s Exclusive Legal Positivism: The Tension Between Law and Morality” at the University of Cambridge. Her thesis is the basis of her forthcoming book, Judging Positivism (Hart Publishing, 2013). Her doctoral studies were supported by the Social Science and Humanities Research Council of Canada, the Cambridge Commonwealth Trust and the Overseas Research Scholarship. 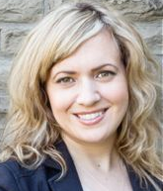 She also holds a BA and an MA in philosophy from McMaster University. Margaret’s main research interests are legal philosophy, constitutional law and international criminal law. Larry May ed. International Criminal Law and Philosophy Canadian Yearbook of International Law 2011, pg 650-58.